Ongoing research has shown that using nonsteroidal anti-inflammatory drugs (NSAIDs) increases the risk of heart attack significantly. Considering this, are doctors using alternative treatments for inflammation whenever possible? A new study has suggested that the answer to that question may be no. Researchers uncovered the continued prevalence of prescribing NSAIDs to patients with rheumatoid arthritis and other inflammatory musculoskeletal diseases despite their high risk for ischemic heart disease. The study included a review of medical charts of 108 patients and found that 16% of the arthritis patients were given the drugs. This is especially startling given the already elevated risk for cardiovascular disease that is associated with rheumatoid arthritis. While it is widely accepted that long-term prescribing of NSAIDs is unsafe, there has been a general attitude that short-term use of the drugs is safe for the heart. However, a recent study found that just one week of using the NSAID diclofenac increased risk of death or recurrent myocardial infarction in patients with previous MI. Ibuprofen was also shown to increase risk in the short-term. To determine if NSAIDs were still being used, researchers from the Royal College of Surgeons in Ireland observed the prescribing patterns for the patients over a two-month period. The patients ranged in age from 50 to 87, and 36% had documented ischemic heart disease or had risk factors like diabetes or hypertension. They found that diclofenac was prescribed in 56% of patient cases. “This was particularly disconcerting, because the risk of death and recurrent myocardial infarction with this drug becomes evident immediately,” Orr said. The drug was prescribed for more than a month in 56% of these patients, and for a year or longer in 15% of them. They even found that in about 25% of the cases, NSAIDs were being used to treat noninflammatory conditions such as post-operative pain and fibromyalgia. The study authors encouraged new prescribing guidelines be developed for patients with heart disease risks. They highlighted alternative methods of helping patients with either inflammatory or noninflammatory diseases. Orr concluded, “New guidelines should be introduced that take into account the new evidence for death and recurrent myocardial infarction, even with short-term use of NSAIDs.” Among NSAIDs, diclofenac is likely the most risky choice, and should be avoided whenever possible. Chiropractic care, including trigger point therapy, has also been found to be effective for treating inflammation associated with a variety of diseases, including rheumatoid arthritis. Orr C, et al. New data, new problem: assessing the prevalence of NSAID prescribing in primary care in those with a background of ischemic heart disease or risk factors for IHD. EULAR Annual European Congress of Rheumatology June 2013. Walsh Nancy. 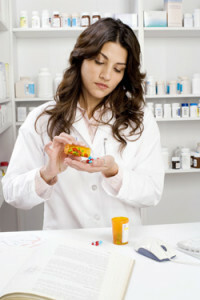 NSAID use raises heart risk in arthritis. MedPage Today June 15, 2013. Written by: Kelly Johnson on June 17, 2013.